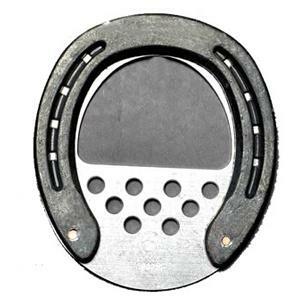 The Protector Plate gives solid ground cover for the horse who needs extra help in the toe or heel areas. Excellent for relief from the "Soft Sole Syndrome" or "Pedal Osteitis". The holes give products like Supreme Support the grip to stay in place. The protector can also be reversed on heel or frog sore horses. Sold in Pairs.